Among the many top services we offer at E&E Construction, we are here to help you navigate the complicated and often confusing process that is involved whenever roofing work relates to an insurance claim. Weather-related damages cost property owners and insurers billions of dollars every year—and insurance companies are less-than-eager to pay out claims. If an insurance company can find a way to deny a claim, they will. That’s where we come in! To help ensure your legitimate claims aren’t wrongfully denied, E&E Construction will go toe to toe with insurance companies on your behalf. We have the savvy and experience to negotiate with insurers and help get you the maximum payout to cover any warrantied work without incurring a huge out-of-pocket expense. One of the ways we help our clients jump over insurance hurdles is through customized roof maintenance and inspection plans. When you have detailed records of annual roof inspections and well-documented proof of professionally performed maintenance and repairs, those are powerful weapons in your quiver when negotiating with an insurance company. One of the methods insurance companies commonly use to deny claims or minimize payouts is stating that roof damage was preexisting. 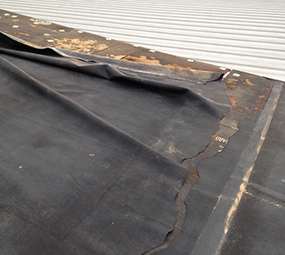 A well-documented history of your roof’s condition at the time of inspections, maintenance and repairs deflates these attempts, showing authoritatively that storm damage and other warranty-eligible impairment was not preexisting and should be covered under your roof warranty. 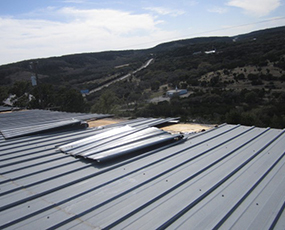 Regular inspections and roof maintenance are also crucial for protecting your roof asset. 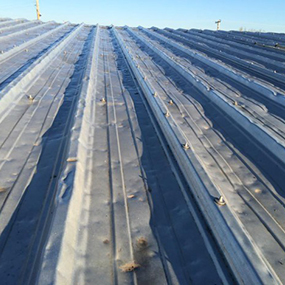 A trained roofing technician can spot problem areas during a routine inspection and make sure preventive repairs are performed to prevent big and expensive problems from developing down the road. If you wait until storm damage or other catastrophes have occurred, it’s already too late! Let E&E Construction work with you to develop a custom-tailored inspection and maintenance plan to protect your investment and arm you for future battles with insurance companies. Let the Top Team Go to Bat for You! When needed roofing work involves an insurance claim, don’t negotiate with insurance companies on your own—let the experts at E&E Construction go to bat on your behalf. We will work to get you the full warranty payout you deserve so you can have the work performed that you need. We serve clients in Ohio, West Virginia, Kentucky and Indiana, with immediate service areas including Columbus, Cincinnati, Charleston, Parkersburg, Huntington, Lexington, Louisville, Indianapolis, Fort Wayne and their environs. Give us a call today, (740) 331-0695!